A brand new Hostel, opened on November 2008, with all the experience of our 1st Hostel in El Calafate and an amazing design!Our hostel was built from 'zero' with all backpackers needs. You will appreciate the modern decoration. 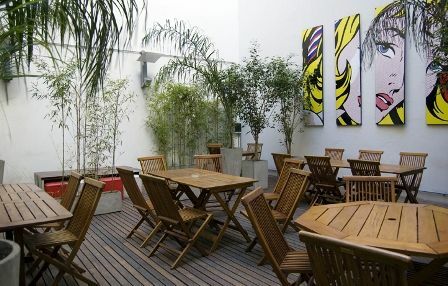 We are located in San Telmo District, 3 blocks from 9 de Julio Av & Metro Station, 7 blocks from Puerto Madero, Plaza Dorrego & Av de Mayo.We have Private Rooms (Matrimonial & Twin Beds), triple & quadruple room and share Dorms of 4 beds maximum, .All rooms private rooms) with(share dorms & private bathroom, individual air conditioner & Hairdryer...and of course individual split heating.The Hostel have 2 lifts to get to the rooms, BBQ Area, Computer for Internet, WiFi and Handicapes Room & Facilities.NB: All cancellations MUST be by email directly to the hostel, and more than 24 hours before arrival to the hostel. 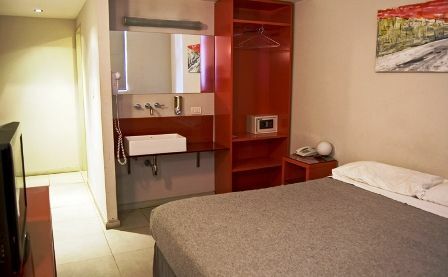 Otherwise, the hostel will charge the amount of the first night from the Credit Card.